Whether you’re around town or out of town, the 2017 Toyota RAV4 gives you the opportunity to take your journeys even further. The new SE Hybrid adds another level of efficiency to the lineup, while the new Platinum grade enhances the premium look and feel. Its full-body color treatment gives it a sleeker look, while inside, ambient lighting and a heated steering wheel are there to cater to your needs. 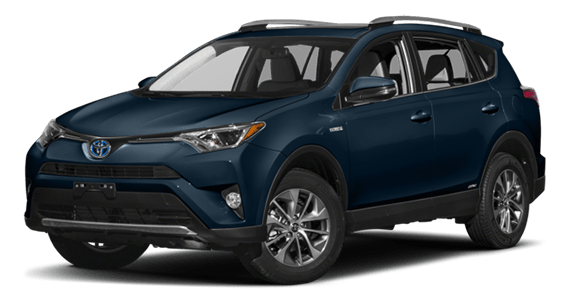 And since Toyota Safety Sense™ P (TSS-P) 24 comes standard on every RAV4, you have everything you need — style, SUV capability, and safety — to venture out to more places. 5 SiriusXM audio services require a subscription sold separately, or as a package, by Sirius XM Radio Inc. If you decide to continue service after your trial, the subscription plan you choose will automatically renew thereafter and you will be charged according to your chosen payment method at then-current rates. Fees and taxes apply. To cancel you must call SiriusXM at 1-866-635-2349. See SiriusXM Customer Agreement for complete terms at www.siriusxm.com. All fees and programming subject to change. Not all vehicles or devices are capable of receiving all services offered by SiriusXM. Current information and features may not be available in all locations, or on all receivers. ®2017 Sirius XM Radio Inc. Sirius, XM, SiriusXM and all related marks and logos are trademarks of Sirius XM Radio Inc.